Discover the best drones for sale. Read the best quadcopter and drone reviews online with My Drone Review. Specialized website in review of drone. DJI has released an update to this great drone, the DJI Phantom 4 Pro V2.0 is updated in mostly the same way that the Mavic Pro Platinum improves over the original Mavic Pro. To be specific, new propellers and updated ESCs create more efficient and quieter flight. The big update that many of us are excited for is the inclusion of OcuSync, which adds multi-remote connectivity and a wireless connection to the DJI Goggles. 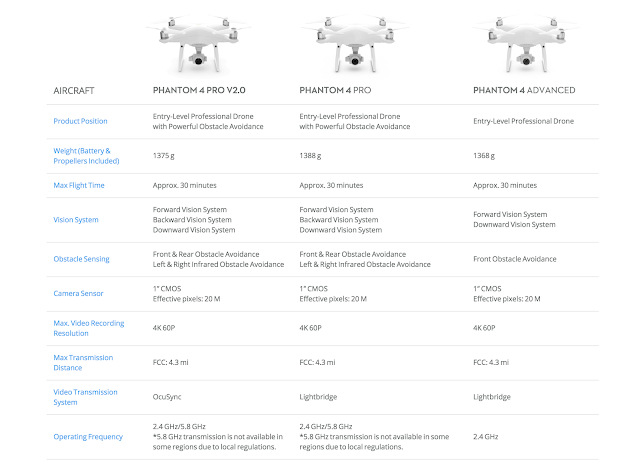 Beyond these two features, the drone features the same build and internals as the Phantom 4 Pro. That means a 4K/60fps camera with a 1-inch 20MP Exmor R CMOS sensor and support for taking stills at 14fps in Burst Mode; an "aerial optimized" F2.8 wide-angle lens with a 24mm equivalent focal length, 8 elements (including two aspherical) in 7 groups, and the promise of low dispersion/distortion; and a mechanical shutter with a max speed of 1/2000s. There's also the same FlightAutonomy system, an "advanced aerial intelligence and flight automation platform." The Phantom 4 Pro V2.0 camera is still equipped with a 1-inch 20-megapixel sensor and has a manually adjustable aperture from F2.8 to F11. It also supports autofocus by half-pressing the Shutter button and has a focus range from 1m to infinity. Always refocus before capturing additional shots if the subject has moved beyond the focus point. Focus at infinity if the subject is over 98ft (30m) away. Refocusing is also needed when switching from close shots to long shots during recording. The Phantom 4 Pro V2.0 can record UHD 4K (4096×2160) at 60fps, at a maximum bitrate of 100Mbps using the H.264 codec and also supports H.265. It also allows you to capture still images while filming. Photos will be captured as JPEG in the same resolution as the video recording. H.265 retains 50% more information than H.264, creating more detailed and vivid images. An electronic shutter may cause artifacts and distortion, such as jello, when shooting fast moving objects. A mechanical shutter prevents this and guarantees a high-quality image. 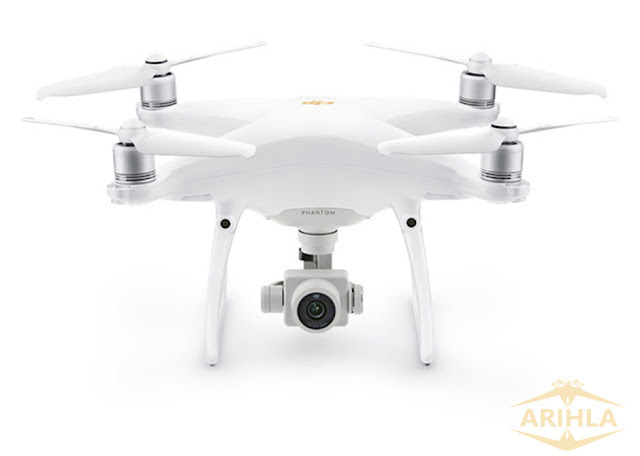 The Phantom 4 Pro V2.0 uses a camera lens optimized for aerial imaging, with an aperture range from F2.8 to F11 and a 24mm equivalent focal length. It’s equipped with a mechanical shutter and adjustable aperture range, with autofocus support. 5-directional obstacle sensing system and 1'' CMOS Sensor with 4k@60p video recording capabilities. What's New about the Dji P4P V2.0? No, there isn’t a new camera or interchangeable lenses. Sure it isn’t the Phantom 5, but that doesn’t mean that the Version 2 doesn’t have some important upgrades for professional pilots. It's OcuSync and quieter flight. There's not much to say about quiet flight except that noise has been reduced by 60% over its predecessor. OcuSync, on the other hand, is a little more interesting. The OcuSync HD video transmission system replaces Lightbridge in the original Phantom 4 Pro and Phantom 4 Advanced. Like Lightbridge, OcuSync offers a 7km transmission range and automatic dual-frequency band switching (where allowed). Unlike Lightbridge, it connects to DJI Goggles RE wirelessly, and features high-def, low-latency transmission—both convenient features for FPV shooters. 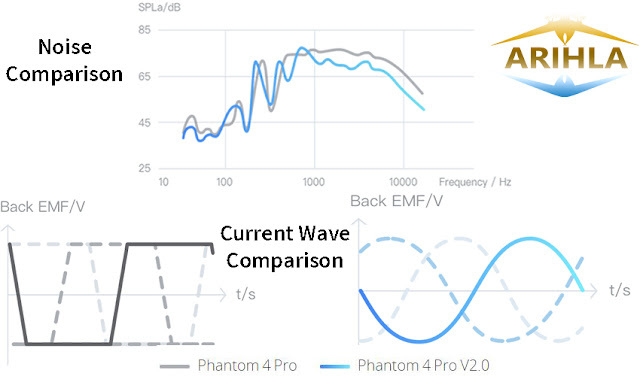 The Dji Phantom 4 V2 should be more powerful than the original. If the new propellers are more efficient it would be feasible to assume they will generate more thrust. We showed that the Platinum props alone make the Mavic Pro 7% more powerful! With that kind of extra boost, DJI could choose to up the speed limits on the P4. While DJI hasn’t stated an increase in speed we are eager to thrust test them so we can know for sure. The Phantom 4 Pro V2.0 is now available for purchase at store.dji.com, the four DJI Flagship Stores and authorized dealers worldwide. Its US retail price of USD$1,499 includes the aircraft, battery, remote controller, four pairs of propellers, battery charger, power cable, gimbal clamp, Micro USB cable, Micro SD Card and a carrying case. The Phantom 4 Pro+ V2.0 retails at USD$1,799 and includes all P4P V2.0 accessories, but with the 5.5-inch monitor built into the remote controller. For availability and pricing in local currency, visit store.dji.com. I'm Rabeca - Discover the best drones for sale. Read the best quadcopter and drone reviews online with My Drone Review. Specialized website in review of drone.